Doors being one of the most important features in the construction of commercial properties provide safety and security of the premises. There are varied range of doors available basically sectional doors, roll up doors, personnel doors, roof hatches, dock leveler, impact doors to cater the ever growing need of Business unit. One type of door that is used in many commercial business is the strip door. Strip doors include vinyl strips that are transparent, odorless and non-toxic. The strips part only enough to let a person or truck pass through, but provide protection from one room to another. The balance of the strips remain closed with the parted strips falling right back into place automatically after passage, ensuring minimum loss of expensive heated or cooled air. Strip Doors increase sanitation, help maintain temperatures and reduce costly hydro. Tinted and Colored strip doors are also available for added privacy and reduced visibility. Anti Scratch Ribbed strip doors offer greater durability against forklifts and machines. Vinyl strips for strip doors are available in a variety of widths and thickness to meet your application requirements. 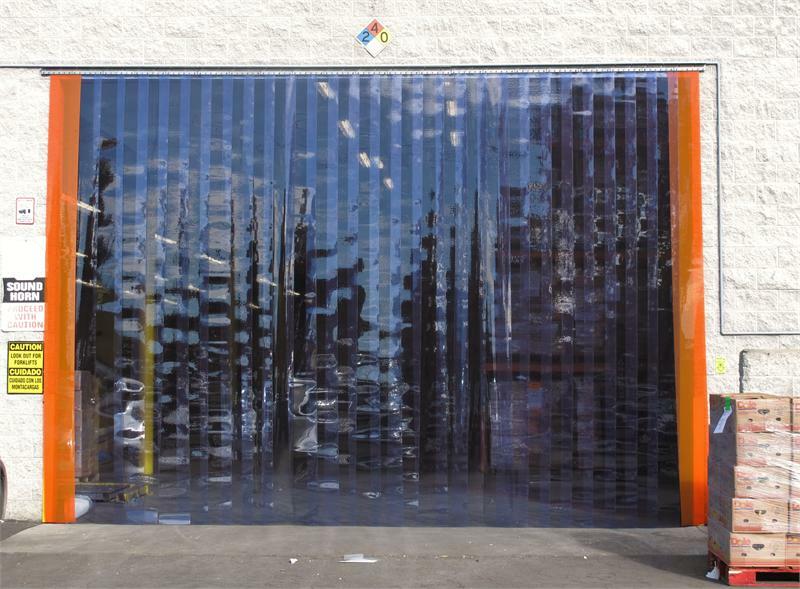 Transparent vinyl doors permit easy passage while reducing heat or cold losses, help to seal off high dust areas and also effective as a noise barrier. The see-thru feature prevents collisions and accidents at doorways. Vinyl strip doors are easy to clean and resist many chemicals. DCD is an Orange County based business that specializes in custom doors for restaurants, grocery stores and other commercial buildings. From strip doors to rigid doors and flexible doors, Discount Commercial Doors is your destination for all your needs.